Disclaimer: this is not a DIY post. We know our strengths and we most definitely know our weaknesses. 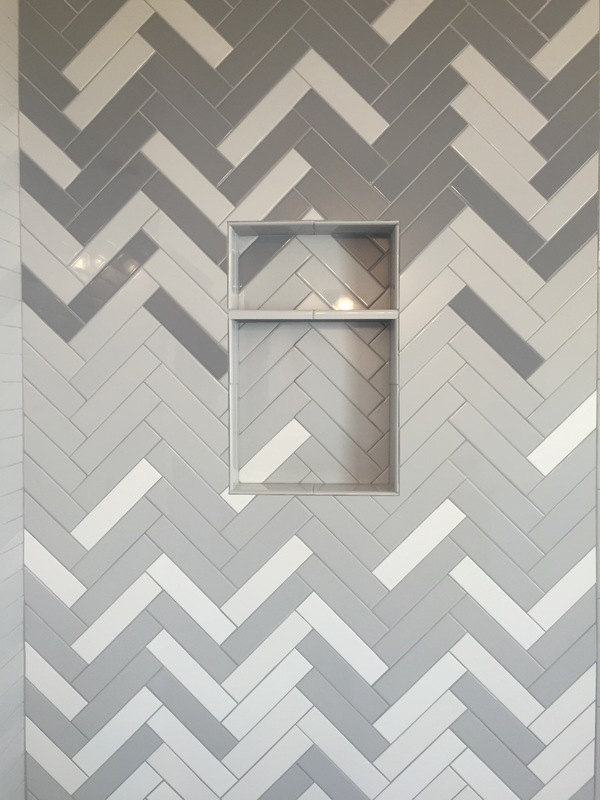 Tiling is a fine art, and we are incredibly fortunate to know tile artisians who can execute our vision! Shout out to them! 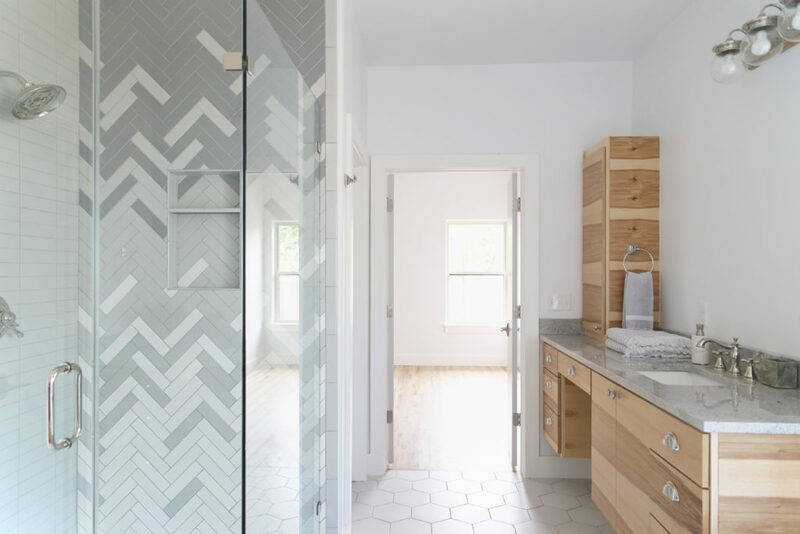 We were looking for inspiration for our Colorado Bungalow master bathroom last spring. The house was VERY nice, but at a lower price point than some of the other stuff we have shown you. 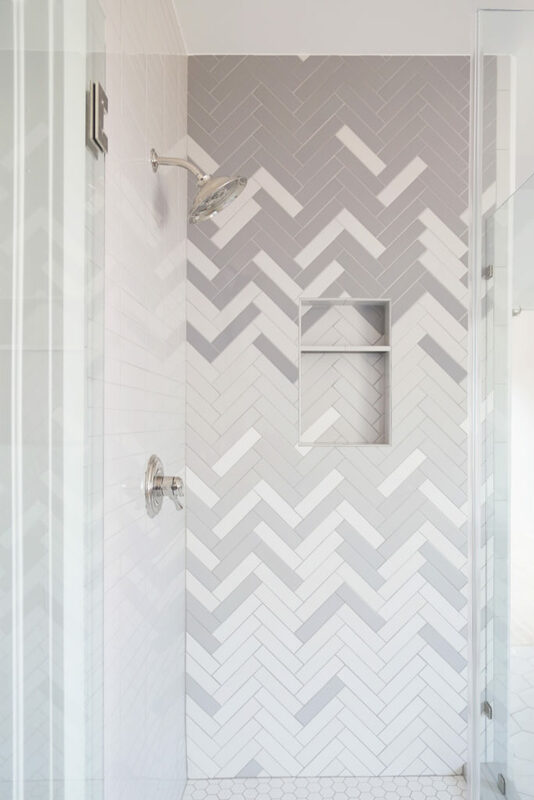 We wanted to show a well-designed, interesting bathroom, using affordable tile. And I had JUST the thing I had been dying to do! 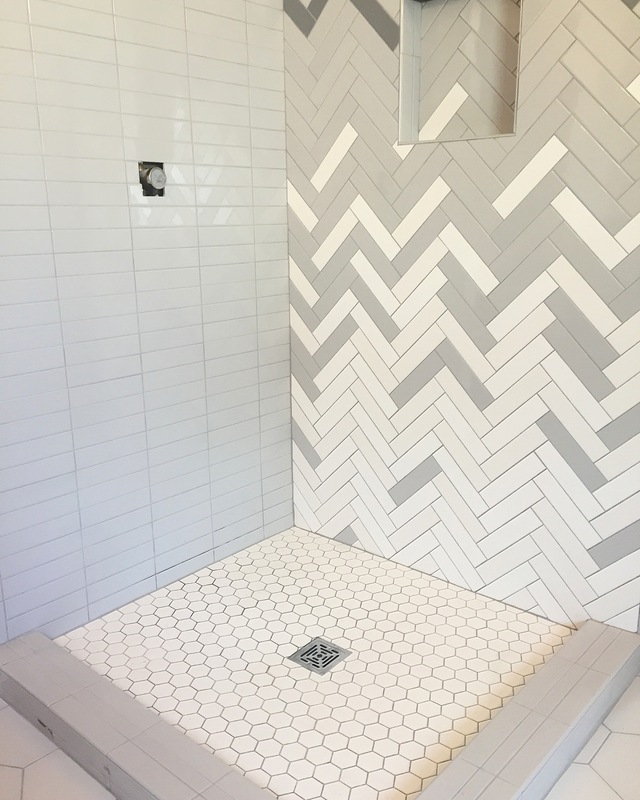 Pardon this HORRENDOUS picture, but the inspiration for this shower was actually the floor of the Stella McCartney store in Dallas. Of course, I LOVE the red/pink/natural wood, but that is a color palette that isn’t exactly one for the masses. So I decided that since this was a spec house, we would do one wall in white, light gray, and charcoal. Again, this is a difficult installation, but part of the difficulty is doing the math on the tile. We did amix of Interceramic IC Brite and Matte line in Dark Gray, Smoke, and Ultra White. We did 1/3 of each color, and then did 1/2 of each glossy and matte. Sounds confusing, and it is difficult to see here, but it makes the combination take the whole hombre affect to the next level. 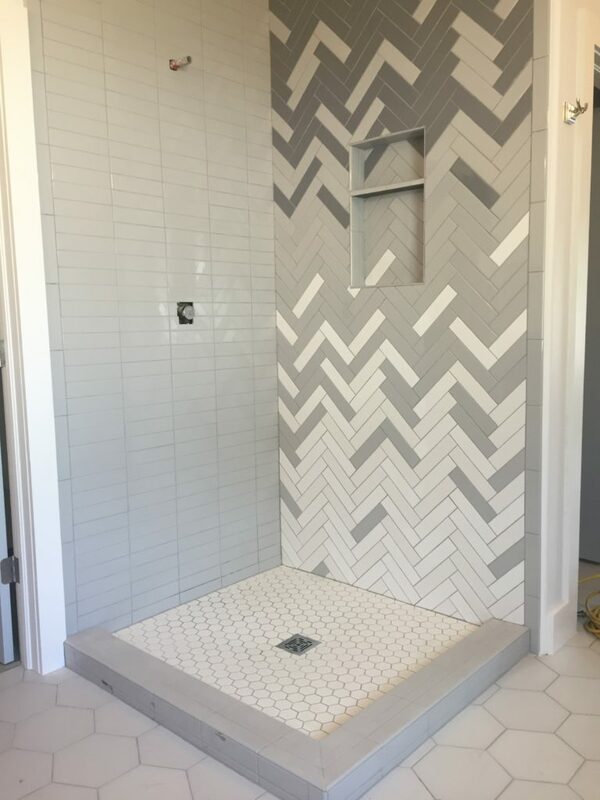 The awesome thing about this scheme is that it LOOKS great, and is slightly difficult to install, but compared to lots of tile is INCREDIBLY affordable. 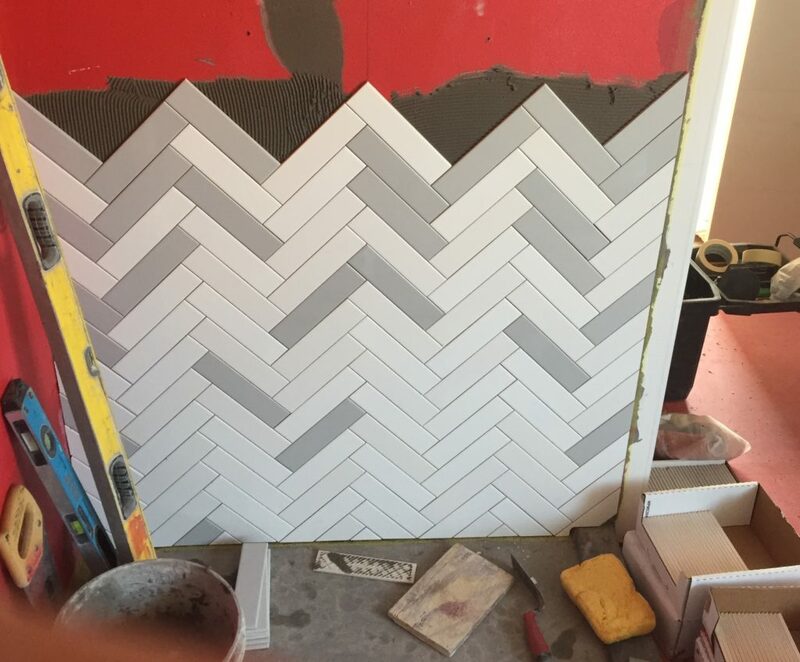 You could also do this with a mix of 3×6 subway tile that you pick up off the shelf at Lowes or Home Depot! We kept the other shower wall very simple in the Smoke tile in a straight stack. Hex on the floor and large scale hex on the bathroom floor. Both from The Tile Shop. We know you’ve heard us talk about Duk Liner, but if you haven’t used one–ESPECIALLY if you DIY–you must! 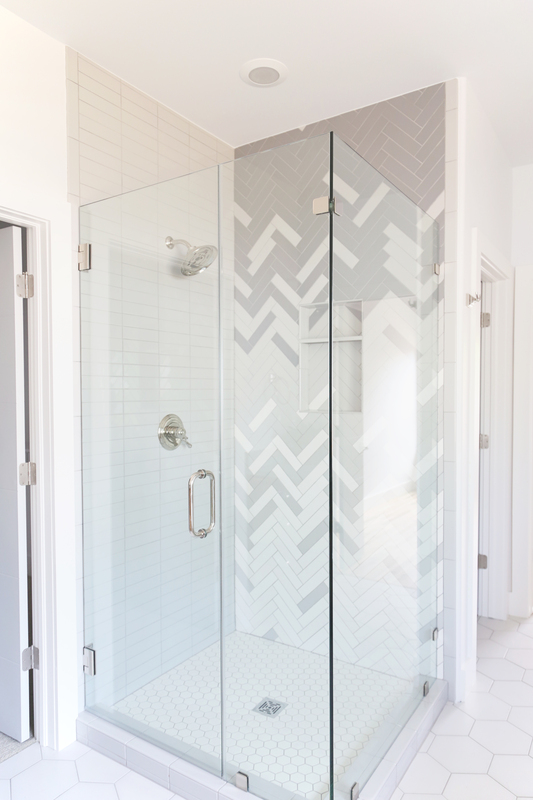 Creates a shower niche in minutes! That is it!! 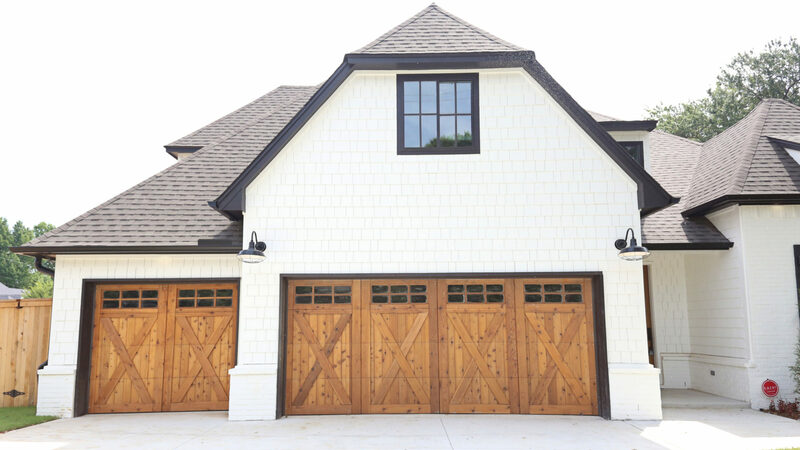 Great design does not have to be expensive! 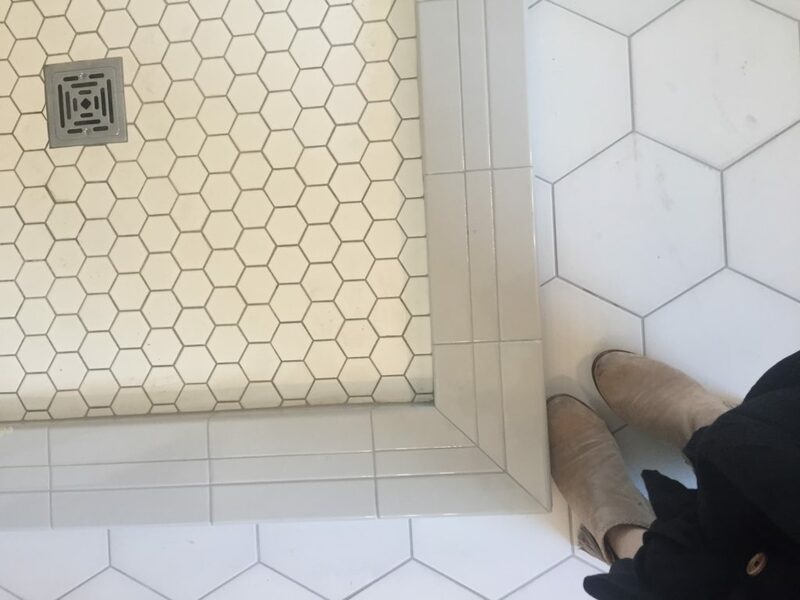 Find something you love and use affordable tile to achieve your look! All final pictures by Sarah Baker Photos. Cabinets by Woodstock Cabinet Co.
⟵Ten of our favorite paint colors, and where we’ve used them.